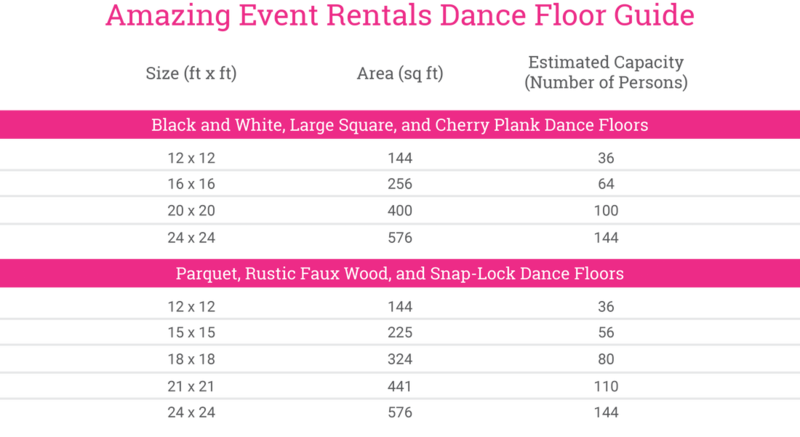 Keep in mind when determining dance floor size is that usually about 33-50% of your guests will dance at any given time. That being said, you know your guests best—consider what type of crowd will be attending and decide whether they’re the type to dance the night away or if they’re more likely to enjoy lively conversations in the lounge. Additional floor sizes are available upon request.